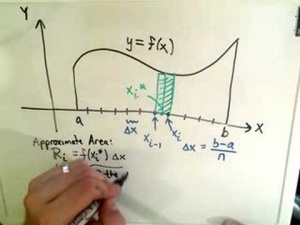 In this course, Calculus Instructor Patrick gives 60 video lectures on Integral Calculus. Some of the topics covered are: Indefinite Integrals, Definite Integrals, Trigonometric Integrals, Trigonometric Substitution, Partial Fractions, Double Integrals, Triple Integrals, Polar Coordinates, Spherical Coordinates, Line Integrals, Centroids/Centers of Mass, Improper Integrals, Volumes of Revolution, Work, and many more. Calculus Instructor Patrick in Lecture 2: The Definite Integral: Understanding the Definition. Kausin Kausin wrote 4 years ago. mohammad sami wrote 7 years ago. shaney wrote 7 years ago. john renenl wrote 7 years ago. carlos wrote 7 years ago. prakash wrote 7 years ago. arsalan wrote 7 years ago. mukesh wrote 7 years ago. keong wrote 8 years ago.